Vigil in a Wilderness of Mirrors (1990) is the debut solo album by Fish. Fish had departed Marillion in 1988. 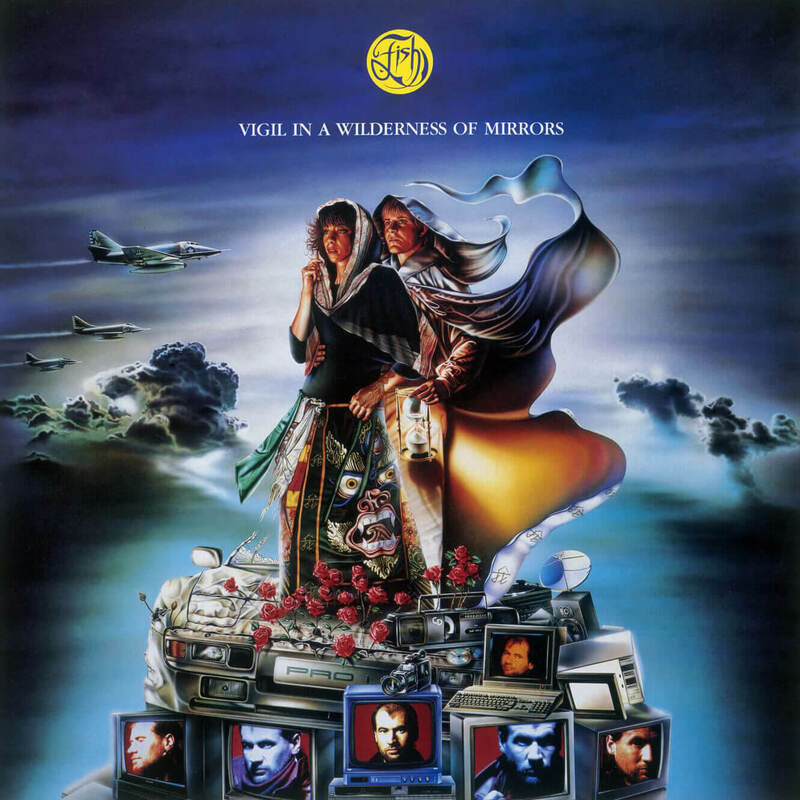 Although the recordings for this album finished as early as June 1989, EMI Records decided to delay the release until early 1990, to avoid collision with Marillion’s album Seasons End (September 1989). However, the track “State of Mind”, featuring guest musician John Keeble from Spandau Ballet on drums, was released as a single as early as 16 October 1989, more than three months ahead of the album. Further singles from the album were “Big Wedge” (the actual lead single, 27 December 1989), “A Gentleman’s Excuse Me” (5 March 1990) and “The Company” (18 July 1990, only released in Germany). The album was recorded at Townhouse Studios, London, during the first half of 1989, and produced by Jon Kelly.